George Lucas had to keep his hand in between THX 1138 and the first STAR WARS film. The latest from artist Jonathon Keats: a "cosmic welcome mat" to greet visitors from outer space. The mats will be placed at various locations around the Bedford Park campus of Flinders University in Adelaide, Australia, to coincide with the 68th International Astronautical Congress that will be taking place nearby. The mats will be examined periodically to check for signs of extraterrestrial visitation. "Years ago, Fermi famously questioned the existence of intelligent life throughout the universe," says experimental philosopher Jonathon Keats. "Fermi asked, 'Where is everybody?' Maybe the reason we've never encountered aliens is that they never felt invited. From an outsider's perspective, human behavior can appear pretty unfriendly, and that impression has some truth to it." To counter the hostility of his species, and to communicate hospitality to aliens, Mr. Keats enlisted the most welcoming of human inventions. His cosmic welcome mat, developed in consultation with Flinders space archaeologist Alice Gorman, translates the concept of welcomeness into a visual language that all sentient beings can potentially comprehend. "In fact, the mat comes in four different versions," says Dr. Gorman. "Since we can't make any assumptions about beings we've never encountered, and certainly can't assume that they're versed in human culture, it's important to present them with different options built on different premises." For instance, one version of the mat expresses welcomeness in terms of geometric fit, while another does so by biological analogy, evoking room for growth. Dr. Gorman and a team of Flinders students will rigorously monitor use of the intergalactic doormats, employing standard archaeological sampling techniques. The carpeting will be regularly vacuumed for sediment. Comparison of sedimentary deposits can provide important data about how effectively welcomeness has been communicated by each design. These data will inform future iterations of the mat, slated for distribution worldwide, and potential future deployment on the International Space Station. 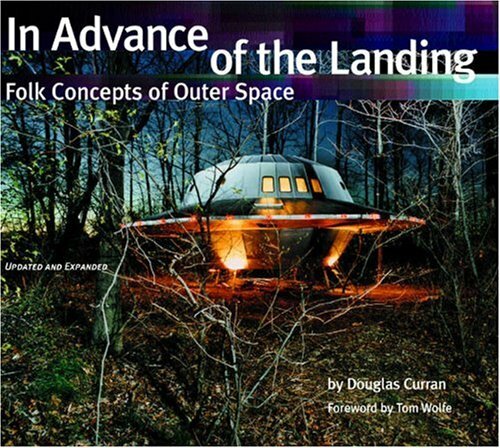 The concept reminds me of the various UFO landing ports that have been constructed throughout the world, such as the one in Lake City, PA. Also relevant is Douglas Curran's book, In Advance of the Landing, about objects built by people in anticipation of the arrival of extraterrestrials. Back in 1977, photographer Douglas Curran began taking photos of objects built by people in anticipation of the arrival of extraterrestrials. Eight years later, he collected these photos together in his book In Advance of the Landing: Folk Concepts of Outer Space. "The words in the title," [Curran] said, "came to me in a dream in 1975. I wrote them down and carried them in a book for two years before I had any ideas as to what I was going to do with them." Curran was asked how the people he photographed received him. Were they suspicious or secretive? He replied that they were open to him. "I arrive on their doorstep," he said, "tell them my name, and explain that I heard about their work and want to talk to them. They're usually surprised that somebody from so far away heard about them. Also, they feel I'm ordained to do this. I've become great friends with many of them." I haven't had a chance to read the book, but it seems like it belongs in any library of weird reading material. You can get a copy either via Curran's website or from Amazon. 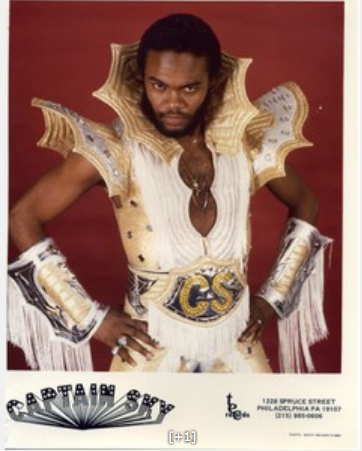 Curran also made a documentary film of the same name that he released in 1993. 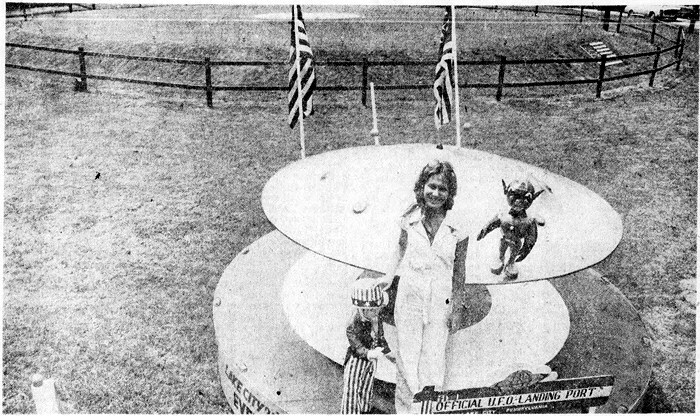 In 1976, as part of America's bicentennial celebrations, the residents of Lake City, Pennsylvania raised $6000 to build a UFO Landing Port. They thought it was the first such landing port in the world, though it wasn't. Explained Jim Meeder, the businessman who organized the effort, "We said to ourselves, 'Let's not look backward 200 years. Let's look forward 200 years.' Everybody else was restoring railroad depots and things like that. 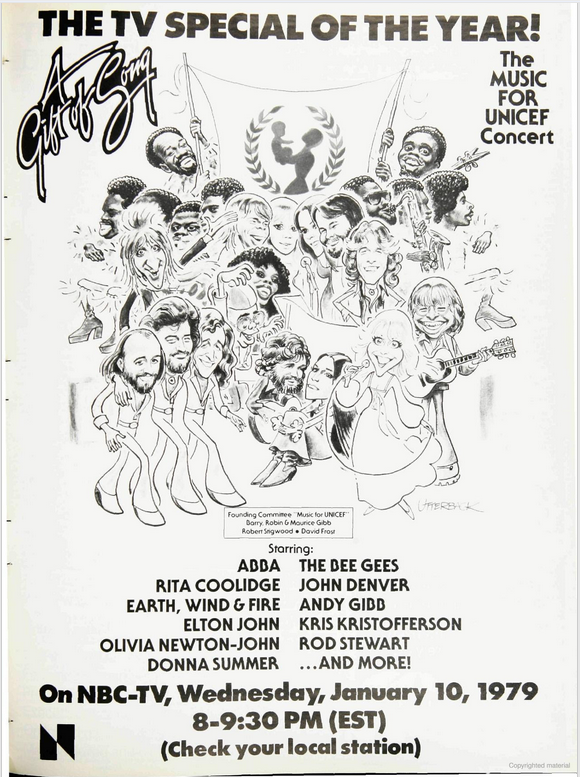 We wanted to do something different." The landing port consisted of "a grass-covered mound five feet high and 100 feet in diameter, bordered by red and blue lights." A representative from the Tucson, Arizona Aerial Phenomenon Research Organization checked it out and said approvingly that he was relieved it wasn't "a schlock thing." 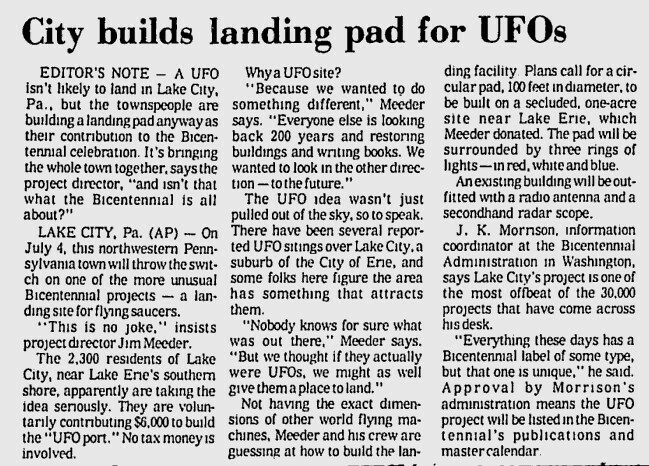 Twelve years later a reporter from the Minneapolis Star-Tribune checked back and found that the landing port hadn't been visited by a UFO yet, but the town was using it as a helicopter landing pad for lake rescues. I haven't been able to figure out if the landing site is still there. I can't find anything on google maps. 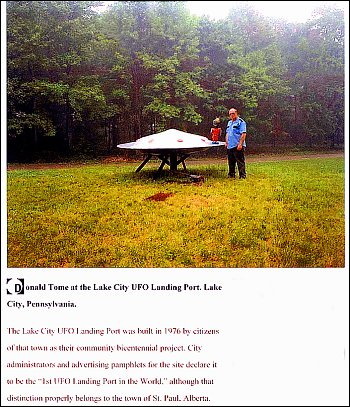 Update: I used the contact form on the Lake City website to ask if they've still got the UFO port. Almost immediately got a reply back that yes, it's still there!